On 6 February 1995, the Australian International School Hong Kong (AISHK) opened its doors with the intention of fulfilling the growing demand for Australian education in a burgeoning hub of global tourism and commerce. Since then, the school has followed the NSW curriculum where senior students in Years 11 and 12 can either pursue the Higher School Certificate (HSC) or the International Baccalaureate Diploma Programme. So what does education at the school look like 23 years on? Below, The Educator Asia speaks to the school’s Acting Head of School, Howard West, about AISHK’s journey to becoming one of the city’s top performing schools, and how he intends to keep it that way through 2018. TEA: The school’s website says AISHK ‘was founded to fulfil the growing demand for a high quality Australian educational institution in Hong Kong’. Today, where does AISHK sit in the list of best performing schools in Hong Kong? HW: AISHK was ranked in the SMH’s schools list 54th in 2016 and 73rd in 2017. It’s IB Diploma results have been consistently outstanding in the November global examination session: in 2017 96% of AIS students scored above the IB Global Average and 8% of students achieved a perfect score. 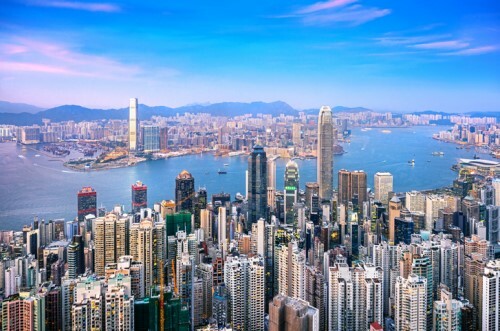 As well as supporting outstanding student outcomes, AISHK sits uniquely in Hong Kong, offering an Australian NSW education programme, along with the IB Diploma. TEA: During your time as the school’s Head of Secondary Education, how would you describe the leadership style you’ve brought to AISHK, and how does this work alongside the school’s culture? HW: My leadership style has evolved with AISHK Secondary over the last 20 years. I believe in being a calm listener, maintaining a welcoming open-door policy, being part of the team and participating in staff learning practices. Embedding values which, when practised, can lead to community prosperity is an important part of one’s leadership. AISHK practices values around welcoming and engaging community members and it strives to support every student in reaching their personal best and developing skills to build their well-being and achievement. TEA: Can you tell us about any exciting and innovative programs or initiatives that the executive team at AISHK is rolling out in 2018 to improve teaching and learning outcomes? HW: 2018 sees us focusing on professional learning around Positive Education and it’s benefits for both students and staff. This is part of an on-going journey of learning which is supported by a staff peer review and staff coaching program. AISHK invests a considerable amount of time and resources in prospering staff professional learning and in 2018 there will also be further conversations around the Australian teaching standards which will focus on improved pedagogy. TEA: Finally, a more general question: do you see any significant differences between Australia and Asia as to how educational leadership is exercised? HW: There are differences between Australian and Asian school leadership models. Many local Asian school systems will tend to be top-down managed, with an expectation of teacher obedience to a Head’s decision and there are knock-on implications about the school’s approach to student discipline. International schools in Asia will reflect a variety of leadership styles, with some having Heads more like company CEO’s and others with diverse, collaborative behaviours and structures.